All I can say is this was a highly-professional, expert team. Even more, they cleaned up after themselves. I was worried I had to break out the cleaning supplies and spend all my free time cleaning. That was far from the case. Also, when I asked the crew leader questions, he openly explained every process they undeartook. It was a completely transparent process from start to finish. Through it all, I actually learned a lot. They arrived on time and left when they said they would. Each staff member was well-trained and knew what they were doing. Also, I called them on a Friday and they came out on Monday. As a single mother, I struggle with finding contractors that don't speak down to me as if being a mom or female means I have no idea how to fix anything. To be honest, I'm not very handy, but when I noticed my floors started squeaking, I knew something was wrong. I looked up and called several contractors but it was Level Pro who made me feel the most at ease. They were conscientious, informative and empathetic to my role as a single mom who works full-time. They kept me apprised the entire time and finished the job when they said they would. There were no delays whatsoever. Plus, they gave me some foundation maintenance tips that I am now using! All in all, I would hire them again in a heartbeat and wouldn't hesitate to recommend them. Level Pro Foundation Repair Inc., started out by giving me what I thought was a very fair estimate. Given that my home's foundation had shifted, I already knew that any work in that area would be pricey. So, I called around first and Level Pro was the most competitive. They also promised that they would get the job done correctly, and they were quite true to their word. They were so professional and cleaned up so well after each work day. In fact, my yard hadn't looked that spotless in months. I also liked that their crew kept me informed every step of the way. They took pictures under the house so that I could see what they were doing. They showed me what needed to be repaired and how they fixed it. They made me feel completely comfortable, and I would recommend them to anyone. What struck me about Level Pro Foundation Repair Inc. is how professional they were. Not only did they make me feel that my needs were a priority, but they also started on time and finished on that. If that wasn't enough, they did an excellent job--much better than I could have imagined. Their staff was top-notch; they were punctual, professional and they cleaned up after their work every day. I had nothing to worry about. They were also quite courteous and friendly. I gave them what I felt was a difficult project, and they tackled it with ease. There are so many things I could commend them for, but it was their professionalism that will keep me a client for life. All I can say is this was a highly-professional, expert team. Even more, they cleaned up after themselves. I was worried I had to break out the cleaning supplies and spend all my free time cleaning. That was far from the case. Also, when I asked the crew leader questions, he openly explained every process they undertook. It was a completely transparent process from start to finish. Through it all, I actually learned a lot. They arrived on time and left when they said they would. Each staff member was well-trained and knew what they were doing. Also, I called them on a Friday and they came out on Monday. Call LevelPro Foundation for the most reliable service and quickest response in the industry. 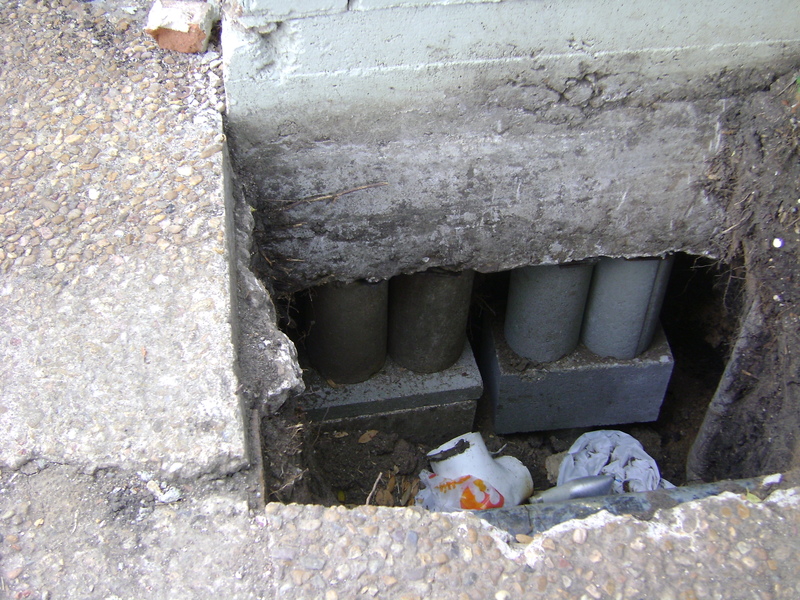 When it comes to foundation repair, the most widely used technique is concrete pressed pilings. This installation technique was designed for using in clay soil, which is common in a number of different regions of the country. The majority of foundation repair jobs are able to be completed in a single day. This type of quick installation gives the plants that are removed for installation of the piers a much better chance of surviving. Crack walls? Doors that won't close and boding floors could all be signs of your foundation problems in your home. If you need a foundation repair company you can trust, look no further than level pro home services in Stafford. 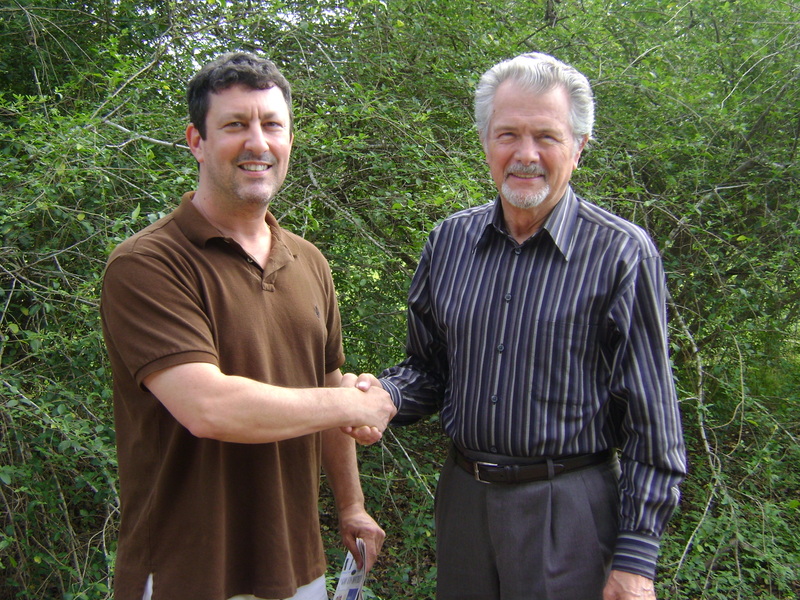 Since 1988 we have provided free foundation repair estimates and competitive prices to homeowners in the greater Houston area. From repairing crack slabs to correcting foundation settlement and so much more. 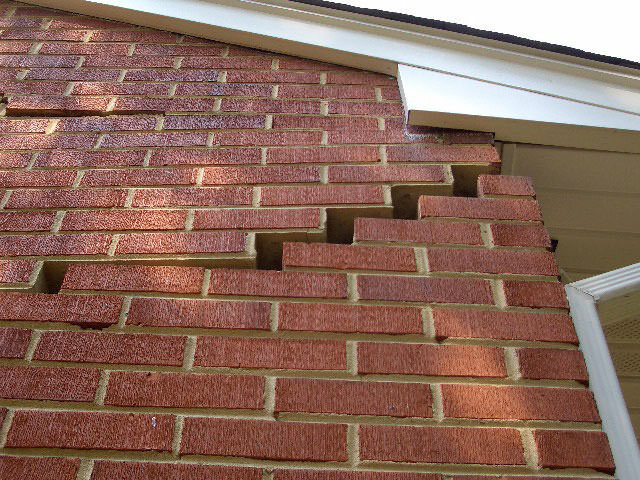 We can do whatever it takes to ensure your foundation is stable an reliable. 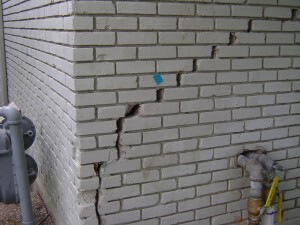 Are you insured and bonded for foundation repair? Do you carry Texas workers' compensation insurance? 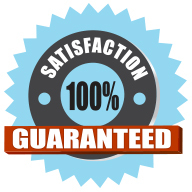 Do you provide a “Lifetime Transferable Warranty”? Does your Lifetime Transferable Warranty define foundation “settlement”? The good news is we can answer “Yes!” to all four questions. A hole measuring two feet is dug. The hole will usually be about four to five feed under ground level and extend underneath the grade beam of the home that is being lifted. A concrete cylinder, pre-formed, is placed at the bottom of the hole right underneath the grade beam. Then a 40 ton hydraulic ram is placed between the beams base and top of the cylinder to press it into the ground. Each of the cylinders are connected with a steelrebar and epoxy. A concrete cap is then placed on the top of each piling. The house is then lifted with 20 ton bottle jacks, to as close to its original position as possible without causing additional damage to the foundation. The holes are then backfilled. 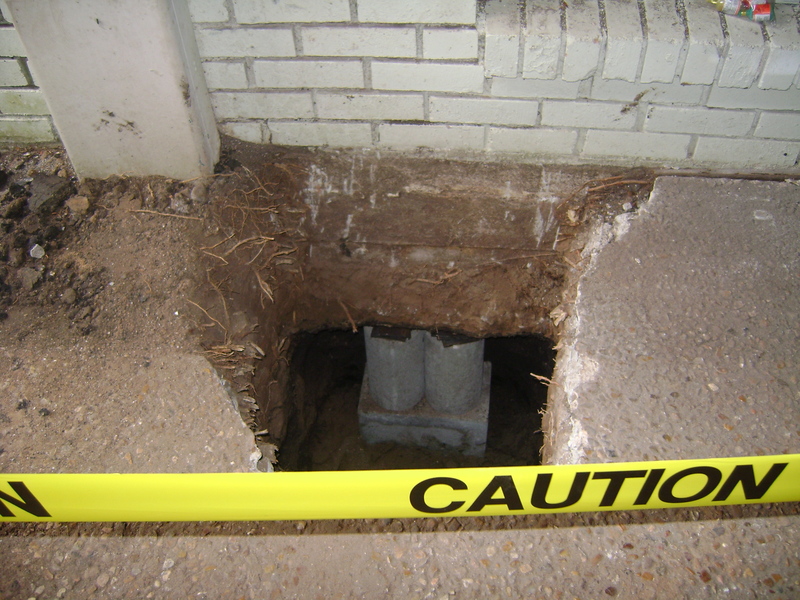 This option of foundation repair is able to be used anywhere that concrete pressed pilings are used. They offer a better solution for locations with soil that is sandier, or there are thinner layers soil between the harder clay lawyers. 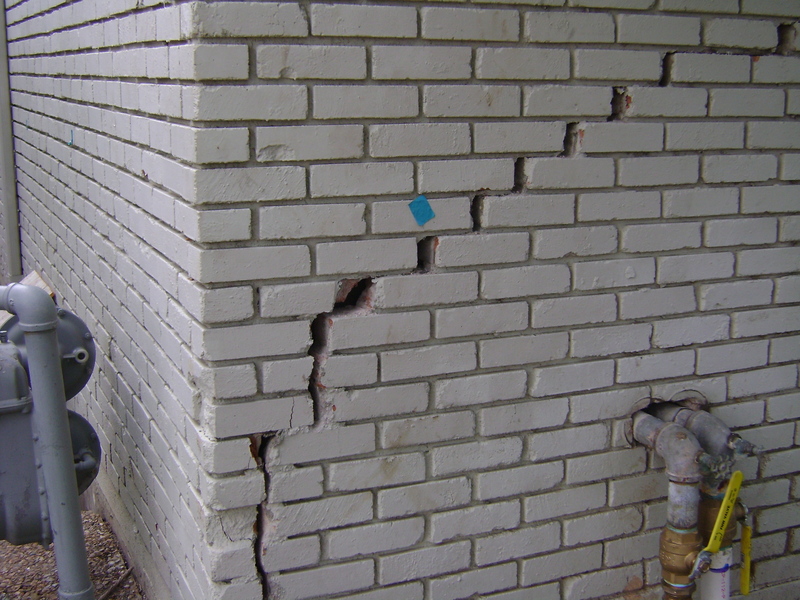 Just like the pressed concrete pilings, this type of foundation repair is able to be completed in a single day. The installation process is the same as the concrete cylinder installation. As your foundation settles, you may begin to notice cracks in the mortar or brick, or even separations at the doors and windows. 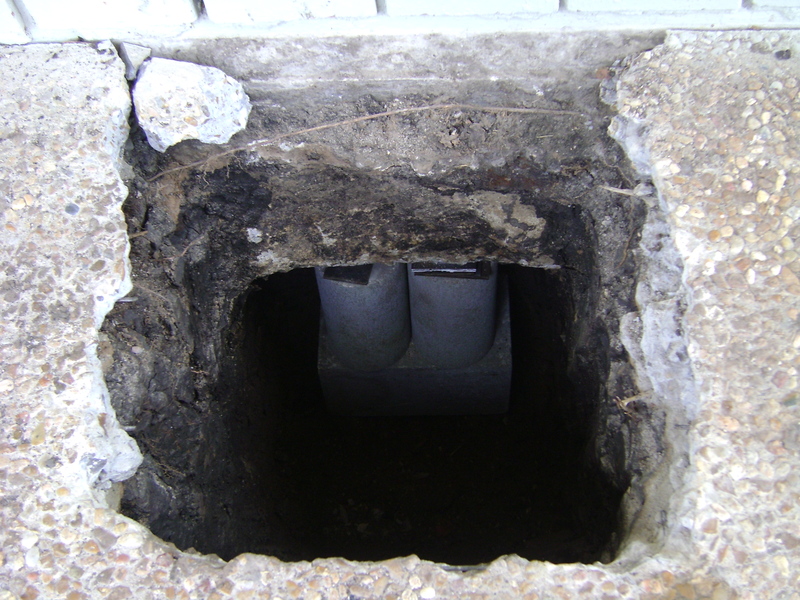 The most common solution for these types of issues is to install something referred to as a helical pier underpinning system. Just like other methods of foundation repair, this process can typically be done in a single day. 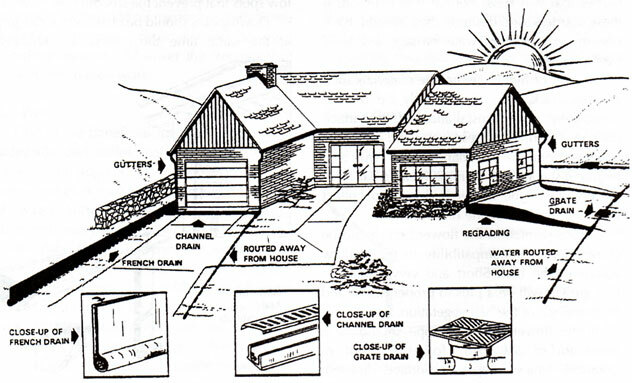 There are a number of reasons that your home or building may require foundation underpinning, including: if the original foundation has become unstable or weak; if the condition of the soil beneath the foundation has changed; if the conditions of the soil were not diagnosed properly before construction; or due to landslides, drought or flooding that caused the structure to move. There are several methods of underpinning. One will extend the depth of your foundation. The goal of this method is to extend the foundation so that it rests on soil that is more supportive or to ensure the load is distributed more evenly. Another underpinning technique utilizes jet grouting and micropiles. When your basement walls start to fail, then the first indication will likely be a crack in the mortar or blocks. These cracks typically run in a horizontal line about mid-way up the wall. These cracks are very rarely cosmetic and are likely an indication that you are experiencing serious foundation issues. There are a number of reasons that the basement walls can fail with the most common being that there is excessive lateral pressure from the earth that is outside of the walls. The damage can be accelerated further by plumbing leaks or poor drainage. IN a number of cases, the construction of the wall will not be adequate to withstand this pressure, which is when the cracks begin to form. 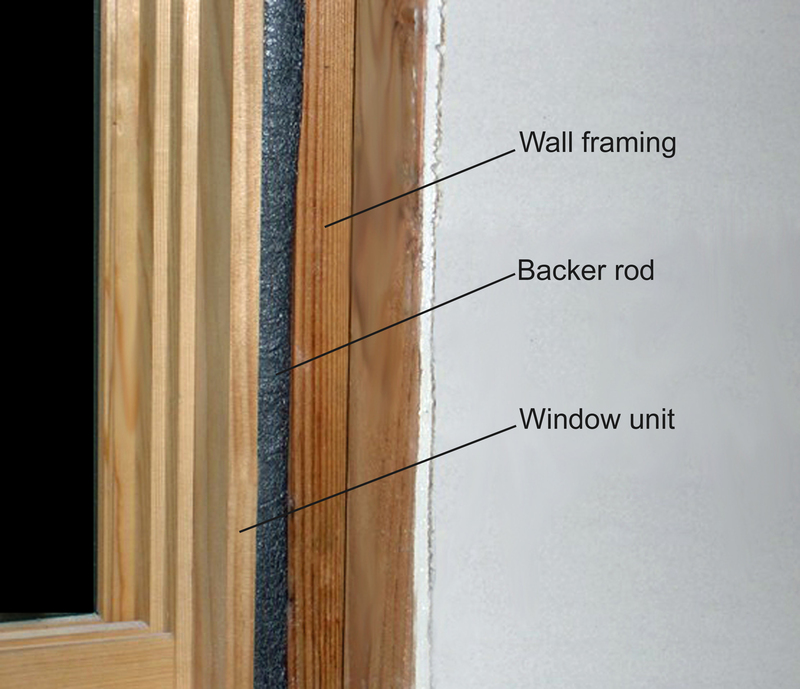 Carbon Fiber Reinforcing: This will keep the basement wall from becoming bowed. Tiebacks: If you have a wall that is leaning quite a bit, then this option will be used. Some of the most common techniques include driven, drilled, grouted and helical tiebacks. This is another method used for lifting your concrete slab if it has begun to sink. It works by pumping grout trough the slab, which will effectively push it up from underneath. This technique is often called pressure grouting or mudjacking. Soil nailing is a type of earth retention technique that uses steel elements that are designed for both temporary and permanent support. Generally, the walls are constructed from the top to the bottom. Also, about three to six feet of soil will be excavated from the top and then holes are drilled. The tension resisting bars are inserted into the holes and then grouted over. This type of technique is often used in basements when the soil has become unstable. When it comes to your foundation, you cannot ignore issues or problems that arise. Doing so will only lead to more extensive and expensive repairs down the road. It is also essential that you only use a professional and experienced team of contractors to handle this work. If the wrong method is used for stabilizing or repairing your foundation, you may quickly discover that you have to invest more money into the problem down the road. The most important thing to remember is that foundation issues will not get better on their own. Calling in the professionals to evaluate the problem and then provide the necessary action is essential to ensure the damage does not become worse.